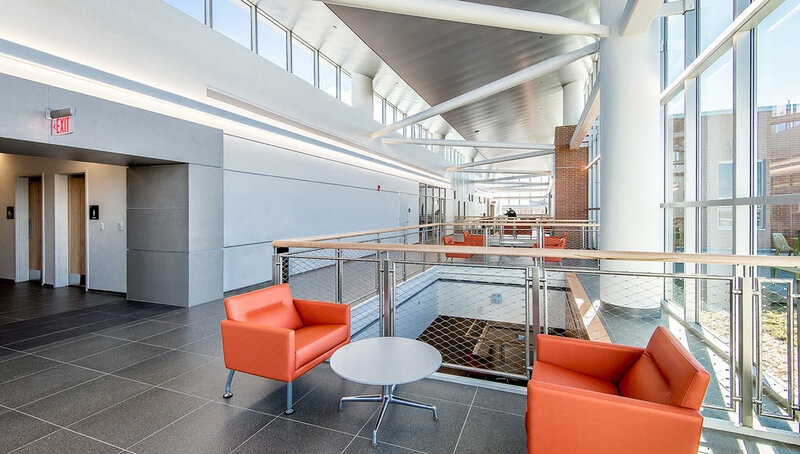 William Paterson’s University Hall revitalizes an aging academic core and provides a new social hub for the University community. University Hall was the most significant new academic building that the University had undertaken in over a decade. The new building sets the tone for all future master plan development. 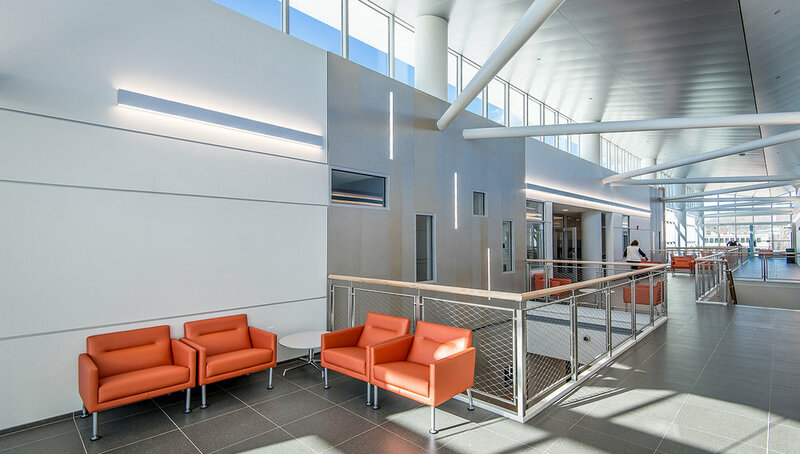 Tasked by the administration with “creating a sense of place; a visual hive of social activity, intellectual investigation and cross-campus interaction,” NK Architects responded with a building focused on themes of openness, transparency, and connectivity to achieve those goals. Home for the departments of Nursing, Public Health and Communication Disorders, a combination of general academic classrooms, nursing simulation labs, academic offices, and a working communications disorders clinic are anchored by a café and generous unscheduled collaborative spaces. These elements build a rich cross-section of spaces for both users of the building and the larger University community. The “spine” of the building is designed to be an active, inter-mixing space with high degrees of visibility between social, public space and programmed, private space. Visual connection reinforces the goal of creating places that encourage informal and unexpected interaction. 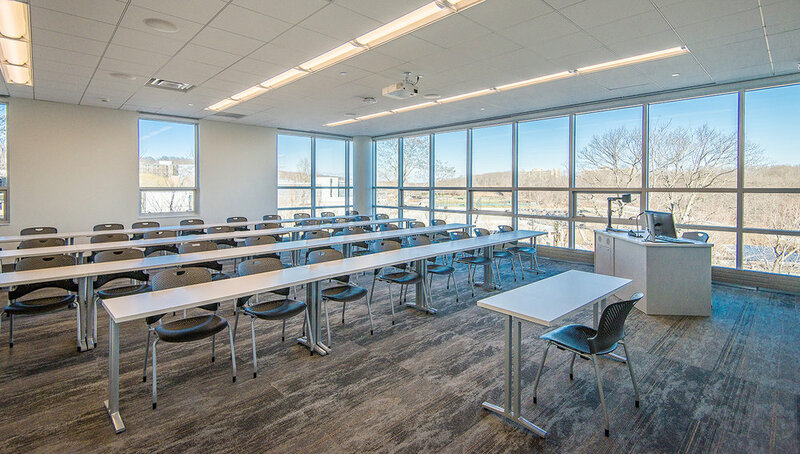 University Hall has more than doubled the amount of student soft spaces the University has on campus; these spaces are just as important to the design as the formal instructional space. Students and faculty engage with each other and the facility creates a place for students to touch-down in during their time on campus, as a majority of students commute. WPU wanted the new building to be identifiable and to provide a visible representation of the modernization of the University. 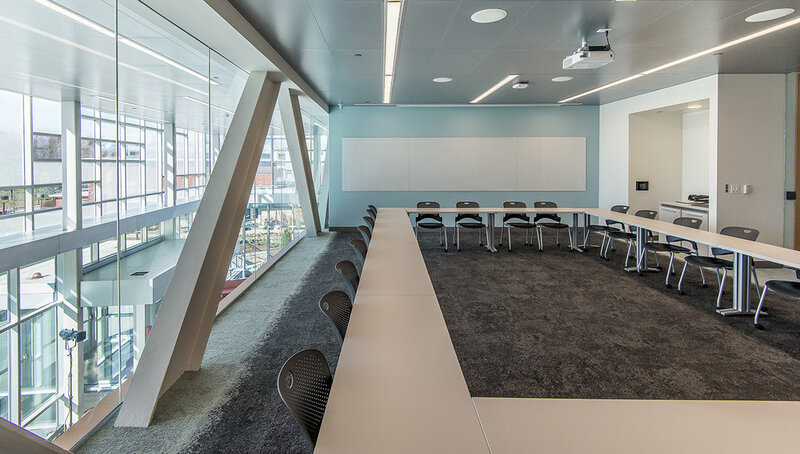 Recognizing that the nature of modern universities are changing, propelled by shifting social forces, this new social hub provides a contemporary academic environment which encourages collaboration. 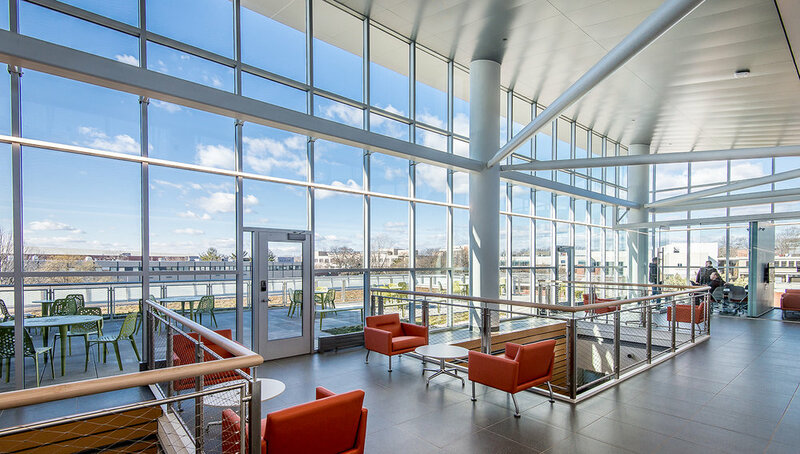 University Hall's focus on energy, resource, and material efficiency helped the building achieve the University’s goal of LEED Gold certification.